For babies, travel can be difficult no matter the distance. 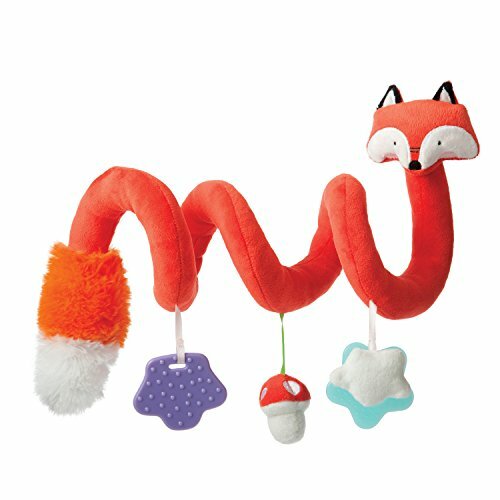 That's why we've created this soft animal-themed spiral to make it better - and let's be honest, when baby is happier, everyone is happier! Since 1979, Manhattan Toy has been making award-winning, high quality, educational toys for your baby, toddler or kid. From infant toys and baby toys to sensory development toys, our goal is to provide the safest and best toys available. All of our products, from the newest concepts to our time-tested classics, are innovatively designed to inspire imaginative play and are routinely safety tested to pass strict CPSC, ASTM, EN71 and Health Canada safety standards.